What is the Cape & Islands School to Careers Partnership? The Cape & Islands School to Career Partnership was created in 1996 as a result of the National School to Work Opportunities Act. Currently more than 200 “Employer Partners” work with us to provide approximately 400 paid and unpaid internships. Working together, the partnership provides students the experiences that impact the knowledge, skills and attitudes necessary to be successful in the workplace. Our Partnership brings together schools, businesses, and non-profit organizations to create exciting educational opportunities for students. School to Careers is based on the premise that education works best when students can connect their academics to the world of work, their future careers and their daily lives. On the job experiences allow students to explore potential careers, think about their future educational goals and develop skills necessary for success in the workplace; it brings relevance to academic subjects. Employers support the School to Careers Partnership by providing paid or unpaid internships, job shadows, and mentoring for students. By providing these experiences, employers help students understand the connection between school and work, develop their skills and, most importantly, to see how academic achievement impacts their future careers. The program uses the Work-Based Learning Plan and is continuously refined through feedback received from students, parents, businesses and schools. Employers may also support the Partnership by providing externship opportunities, giving educators the opportunity to visit companies and learn firsthand what skills employers are looking for. School to Careers Partnerships help develop communication, teamwork and customer service skills. Through their involvement, employers are taking an active role in preparing their workforce of tomorrow while providing meaningful learning opportunities to the students of today. Participation also strengthens relationships with the local community. The Cape & Islands School to Careers Partnership is part of Connecting Activities, a Department of Elementary and Secondary Education initiative designed to drive and sustain the statewide school-to-career system, working in partnership with the Executive Office of Labor and Workforce Development. The program establishes public-private partnerships through the 16 local Workforce Development Boards to connect schools and businesses to provide structured work-based learning experiences for students that support both academic and employability skill attainment. Locally, the Cape and Islands Workforce Development Board is responsible for overseeing the School to Career Partnership along with all publicly funded vocational education and training programs, ensuring that public sector investments in education and training match up with local private sector needs. The Career Academies Program offers clusters of courses around specific career areas including Science & Technology, Health & Human Services, Visual Arts, and Business & Retailing. These academies focus on specific career oriented goals. Students can develop marketable job skills and become technically proficient while preparing academically for college or other post-secondary education. During the junior and senior year, this program provides clinical rotations to students in a variety of professions. It also requires internships for technical training and experience. Cape Tech offers a program of cooperative education to qualified juniors and seniors. Cooperative Education is a program of vocational technical education for students who, through a cooperative arrangement between the school and employers, receive instruction, including required academic courses and related vocational instruction, by the alternation of study in school with a job in his or her specific occupational field. With 18 technical programs to choose from, students spend their two week shop cycles “on the job” as trainees with cooperating employers in the community in the various trades. This brings industry, business, and education closer together in sharing the responsibilities for preparing Cape Cod Tech students to enter the world of work. Dennis-Yarmouth’s School-to-Career Program offers students structured routes for career exploration. Students have the opportunity for in-depth investigation of careers to help them make informed decisions in planning for their postsecondary education and future careers. Placements will be arranged based on individuals’ interests and strengths as determined by a completed application and pre-placement interview. Students will be placed in arranged positions with community businesses for six hours per week during two periods of the school day. On the job, students will work with full-time employees to learn the tasks of that particular work site and to develop transferable job skills for future employment. Students will see all aspects of the career they have chosen to explore. Class requirements include keeping a daily journal, completing weekly sign-in sheets and assignments, developing and maintaining a portfolio, and presenting mid-term and final projects. Falmouth offers a two-year course for their School to Career Program. Juniors selected into the program meet one class period per day and receive instruction in basic skills, career preparation, job attainment, and job success. Topics include, but are not limited to, value assessment, goal setting, cover letter and resume writing, employment application completion, and interview techniques. During the senior year the students participate for two class periods in a work-based internship at a local business. Upon graduation from high school, students receive job development and placement services to support their efforts in making a successful transition from school to the workforce. 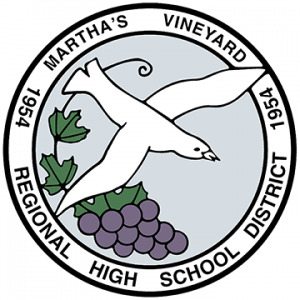 The School to Careers Program at Martha’s Vineyard High School strives to provide an educational experience that encourages participation in any area for any student. The educational experience takes place in the classroom and the community with a strong emphasis on transition from school to the world of employment. Students must choose either the exploratory program or one of the four period advanced Career Technical Education (CTE) courses. Students in the Mashpee program focus on specific career oriented goals and prepare for internships during the first semester of their senior year. Class work is a combination of hands-on exploration, guest speakers, readings, simulation, and job shadowing. Subject matter will include personal interest inventories, job interview skills, resume writing, personal assessment and advancement, and government regulations as they apply to the workplace. Current topics in the workplace, such as professional ethics and etiquette, will be integrated in to the coursework. Students will develop marketable job skills and become technically proficient while preparing academically for college or other post-secondary education. During the second semester, seniors participate in a 14-week job site internship, with one day in a seminar class, discussing workplace issues and meeting the competencies of the Massachusetts Work-Based Learning Plan. Students are required to keep a written journal, create a portfolio, complete a workplace project under the direction of their supervisor, and make a final presentation. Each Nantucket High School student is recognized as a unique individual with their own specific strengths, needs, learning styles and purpose. Challenging and supportive opportunities are provided for all students to maximize their readiness for life after high school. School to Career is an elective designed to provide junior and senior students with an opportunity to learn firsthand about a career or field of study they are interested in learning about for the future. The program enables students to learn about career fields in depth before they decide whether or not to pursue them. This year long program can be taken for one to three credits where students may select and explore a career. Students spend anywhere from four to twelve hours a week in a work environment with a site mentor who oversees their progress. Students are required to submit weekly reflection papers outlining their progress and present a project at the end of the year. Southeast Alternative School’s Cape Cod campus offers students a comprehensive, supportive environment that addresses their educational, clinical, pre-vocational, recreational and behavioral needs. In addition to instruction that is aligned to the Massachusetts Curriculum Frameworks, individual, group, expressive arts and milieu counseling is provided. The school also employs a school nurse, a technology coordinator and a speech and language development specialist. The school operates from mid-August to the end of June and is tailored to meet the needs of high school students. Upper Cape Tech is committed to educating students who enter the workforce to be prepared for change, with employability skills that can be transferred and adapted as technology advances. Upper Cape Tech develops partnerships with local employers to accommodate current and projected trends in technical training equipment. By providing integrated and applied programs, students learn to connect their academic and technical experience to the real world, easing the transition from school to work. Tech Prep, a National educational initiative, connects learning to career pathways and provides students with the knowledge, skills and behaviors they need to compete successfully in the technologically advanced workplace of tomorrow. The school adheres to the philosophy of intensive occupationally specific instruction integrated with strong academic preparation, enabling students to realize their lifelong employment and educational goals. Would you like more infomation?